Catelyn started her vintage business, The Distillery, in 2013. An avid reader, Catelyn centers her vintage jewelry collections around literature that inspires her. She is also involved in greyhound rescue and advocacy for shelter dogs through her project 1Dog1Hour. Pei started her small business journey at the end of 2013 as a stationery designer for a small, online based stationery brand. 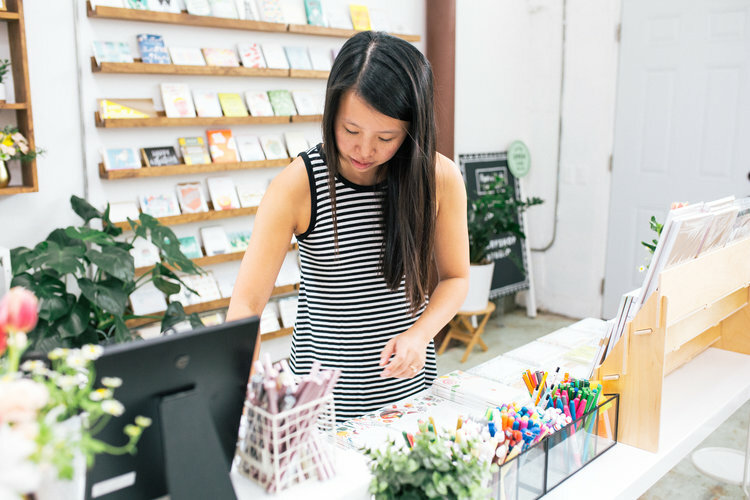 As she grew her business, she founded The Paper + Craft Pantry as a way to blend her love of stationery, workshops and supporting fellow small business owners!